This spacious five bedroom apartment is situated one of the most desirable spots in Morzine and is of a very comfortable and modern standard. Conveniently located metres from the free ski shuttle stop, as well as Morzine village centre. The apartment is on the second floor of a converted farmhouse in a very desirable position. 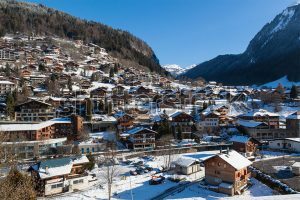 The panoramic views of Morzine in one direction and around to the heights of Avoriaz in the other, are visible from every room and balcony in the property. – A very spacious and comfortable sitting and dining area with an open fireplace. – A modern and well equipped kitchen with a breakfast table. – A master double bedroom with large ensuite bathroom, jacuzzi bath, shower and WC. – A second double bedroom. – One triple bedroom with a set of bunk beds and a single bed. – Two additional bathrooms; one with a jacuzzi bath and shower, and one with a large walk in shower. Both have WCs. – A very useful laundry room for washing and drying clothes. 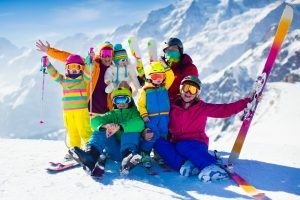 – Basement storage for skis and boots and equipment. – Parking for two cars (uncovered). It is possible to be on the slopes within 15 minutes of leaving the apartment. All modern conveniences are included; wifi, English TV, Apple TV, CD players and radios in all rooms, washing machine, tumble dryer etc. This property is a fantastic option for large groups of friends and families alike. Apartment Creve Coeur	standard bookings run from	Saturday	to	Saturday. 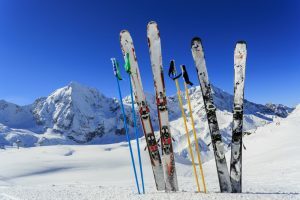 30 metres from a ski shuttle stop which connects you quickly to either the main Avoriaz ski station, or the Pleney ski area in Morzine village. Great apartment, top facilities in good condition, very well equipped. Very convenient location. Thanks. We really enjoyed our week in Apartment Creve Coeur, it was a great size for our 3 families (6 adults, 4 teens and 1 child) and we loved being so close to the village (despite the steep hill!). Great service from Alptitude from booking through to departure and would definitely use you again on our next trip to Morzine. Happy New Year! We had a great (Christmas)week. The apartment is great (for 10pax). Thank you very much! Superb location with wonderful views from all the balconies. 5 mins walk down to town and merely 2 min to regular ski bus. Kitchen well equipped. Comfy sitting room with large dining table. Bedrooms were good with plenty of wardrobes. Bathrooms were very good with more cupboards than we could use! We all had a great stay thanks. We had a great time. Apartment is really well equipped for 11 and very comfortable. Recommend buying raclette at the local cheese shop where they will lend out the equipment - great evening in! Also had fun going to the ice hockey. Appartment Creve Coeur has everything you need and is in a great position. Very steep uphill approach, but it gets easier as the week goes on! The resort manager could not have been more helpful, every request was managed quickly and efficiently at our convenience. The appartment sleeps eleven and would easily accommodate that number. There were nine of us so we were very comfortable. I would not hesitate to book this Appartment again or recommend it to friends. A nice two week staying. The shuttle bus stop is only 40 meters away to access the cable car stations or the center of town. You can also take a walk to the town. From the hill, you can have the view of the whole town. Regardless of the day or night, it is quite charming. Accommodation is functioning well, and if there is any problem, friendly staff can always help you. Highly recommend this very good accommodation. Very nice place for 10 people. Photos tell true =) Comfy living room with fireplace and soft sofas. Kitchen has everything you need. Сonvenient location - bus stop is in one minute walk. Buses run frequently so you can quickly and easily get to the lifts (and return by bus too). Appartement tres confortable. Nous sommes 7 adultes, 2 enfants et 1 babe. De grande chambres, salles de bain, un salon agrÃ©able et un accueil impeccable de la part de Ben. A 30 mÃ¨tres de la navette, au calme avec une belle vue sur Morzine. WIFI et musique dans toutes les piÃ¨ces ! A refaire ! Enjoyed our second stay at Creve Coeur (in consecutive years), and we were 10 adults this time. There were a few minor improvements to the Chalet, new TV, carpet and WIFI system, all well received. All worked out perfectly for us! It was our second time in this apartment. Great for a large company for 10 people. We were very happy with our stay. The property was excellent for our family. The combination of multiple bedrooms and multiple bathrooms, a well equiped kitchen and big dining room table worked extremily well. The apartment was nicely furnished and fully met our expecations. The service provided by Alptitude was fantastic, kind and helpful in every way you can imagine. The fact that we could book transfer, skis, skipasses and accomodation all on the same site was extremily convenient. Additionally the skis & passes were delivered to our apartment with was fabulous. That is added value on a short holiday! The only slight drawback was the location that is on a steep slope, so moving around with small kids and two prams was not very easy. Perfect apartment. Lots of space for 9 people and very well equipped. We do most of our cooking ourselves, and a big kitchen with a lot of cooling/freezing space was just perfect. Location just outside the city centre and few meters from the ski bus was great and quiet. Ben responded very quickly to any questions asked. Surprisingly Ben called us, the day before arrival, to check our plan for the day - super service! And looking at the price: it's about ½ the price we're used to in Val d'Isere for a smaller, not well kept apartment. nous avons passe une tres belle semaine dans cet appartement : bien situe, bien desservi par les navettes bus, confortable, ........ et le soleil et la bonne neige en prime..... que demander de plus. cet appartement nous a donne un goÃ»t de reviens-y ! bonne continuation Ã ALPTITUDE, ne changez pas votre principe. Creve Coeur is a great ski chalet, with commanding views over the town of Morzine. The accommodation is very spacious and the bedrooms very comfortable. We had a great week there, and if we chose to ski in Morzine again, we would have no hesitation in staying there again, or recommending the chalet and Alptitude to others..
From the Siddall Party 12/01/2013 - 19/01/2013 A great apartment in a good location, close to the centre. Lots of space, even with ten people staying and a well equipped kitchen. Enough bathrooms and loos to go round. On the whole a comfortable and cosy apartment providing good value for money. Ben and Beth @ Alptitude were always on hand to help where needed. Apartment Creve Coeur was just right for our needs, 2 families with 3 boys apiece including 4 teenagers so 10 of us in all. On second floor but fine for the agile. Generally well laid out inside with 4 smallish bedrooms close together off to one side of the lounge area and a larger double with ensuite bathroom to the other side of the kitchen. Enough bathrooms and loos to go round. Kitchen adequately furnished (weird oven though) and big table in lounge area for communal dining. Cosy in lounge too and apartment generally warm enough for drying things overnight. Cave downstairs on ground floor for storage of skis etc but not suitable for drying. Overall the apartment decor is a little dated,it needs refreshing and better electrics. Shower door on the bath in the ensuite would help too to prevent floor getting too wet and slippy. Location generally good - you can access the building from the Avoriaz Road, the better way in if driving - but you can also walk down into town in 5 mins and access the road to Montriond/Ardent quite easily too. Navette bus stop just 150 yds away on the Avoriaz road though we used the car to shuttle people to lifts. Usually managed to get one car parking space in front of the apartment, never 2 and other residents /visitors seem to regard them as fair game! Good view out over Morzine from the balcony. The apartment was great, nicely laid out and in part of town which was good for us with 5 young kids. Great views over the town and Ben was very helpful. Morzine was great with plenty of places to eat if only a bit expensive. We had a great week and may look to book again for next year.! Had a great week in Creve Coeur. A modern and comfortable apartment, there were 7 of us staying there and we had plenty of space and spare beds. The jacuzzi baths were a big hit with everyone. Great location, with a very frequent bus to the slopes from right outside the chalet. Ben @ Alptitude was very helpful and we had no issues at all with bookings etc, they even provided us with a fondue and raclette set, which was great. When we’re back in Morzine will be back to the Creve Coeur! Creve Coeur was a perfect family rental for us this Christmas. It has tonnes of space and is amazingly cosy for an apartment. There are 5 great bedrooms and the jacuzzi baths are a real treat!! It is a short walk to town and the ski bus stop outside is ideal to get to Prodains or Pleney. We will definitely be back!